In 2004, Marine Corps Major Michael Zacchea led a group of Shiite Arabs, Sunni Arabs and Kurds in a fight against the same men who years later would form ISIS. What he learned about Arabs and Kurds, Sunnis and Shiites, Americans and Middle Easterners, is more vitally important today than it has ever been before. Now available in Paperback, eBook and Audiobook. John Pruden, a US Army UH-60 Black Hawk Assault Helicopter Pilot, narrated the audiobook. ﻿Mr. 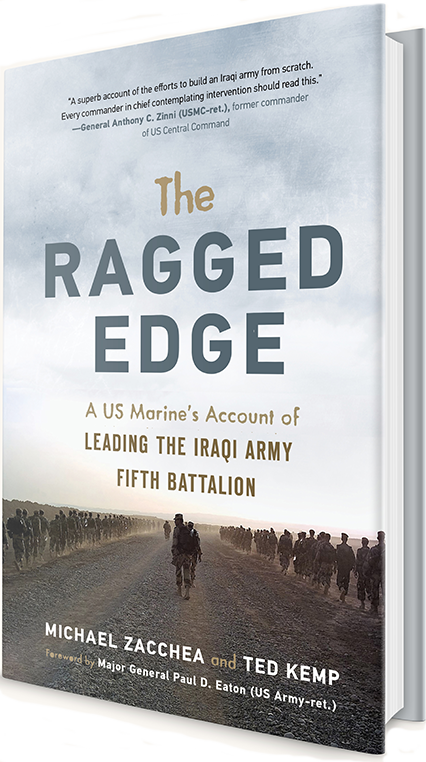 Pruden is an award-winning narrator who has narrated several bestselling books including American Sniper. "An honest, revealing glimpse of the dangers inherent in acting on good intentions based on ignorance."